Lo! We have sent thee (O Muhammad) with the truth, a bringer of glad-tidings and a warner; and thou wilt not be asked about the owners of Hell-fire. ‘Innaaa ‘arsalnaaka bil-haqqi bashiiranw-wa naziiranw,-wa laa tus-‘alu ‘an ‘As-haabil-Jahiim. Bil-haqqi – (with the truth) it means that You have been sent to Guide the human beings towards the Truth. It also means that ‘You always speak the true speeches, provide evident proofs and clear stabilities. Bashiirun – (a bringer of glad-tidings) that is to say the persons who believe and follow the Orders and Instructions of God Almighty and His Messenger (may glory, grace, blessings and peace be upon Him) “You bring for them glad-tidings of happiness and betterment in this world and Hereinafter in exchange of their good deeds”. Naziirun – (The Warner) namely those people who deny and violate “You warn them from their bad results of evil-doing during their present lives and the Day of Resurrection”. These two characteristics of the Last Messenger, Muhammad (may glory, grace, blessings and peace be upon Him) are very important. The Infidels and the Idolaters had doubts about Prophet-hood of the Messenger of Allah Almighty and truth of the Holy Qur’an and argued that if The God Almighty can talk with this Messenger (may glory, grace, blessings and peace be upon Him) then we are also mankind, why does He not talk with us? Or why does He not bestow Him (Muhammad) (may glory, grace, blessings and peace be upon Him) a great miracle due to which the Prophet-hood and Truth may be proved automatically? Replying to their criticism the God Almighty commanded, “Do you ask for one miracle? We have bestowed many miracles to Our Messenger (may glory, grace, blessings and peace be upon Him), but only those persons will believe Him (may glory, grace, blessings and peace be upon Him) who are truly desirous of the Truth whole heartedly, believe the Truth and those people will not believe whose point of view is only to produce the doubts. Allah Almighty has commanded His Messenger (may glory, grace, blessings and peace be upon Him) , “We have sent You with the True Religion, the people who will follow You, they are Believers, for them You are bringer of glad-tidings for their good acts, however who will not follow You, they are Infidels, they will be thrown into the Hell-fire, You are Warner for them for their bad result. The Messenger’s duty is only to convey the Message of God Almighty. He (may glory, grace, blessings and peace be upon Him) is not responsible to make Muslim to the Infidels and Idolaters. And those who have no knowledge say: Why doth not Allah speak unto us, or some sign come unto us? Even thus, as they now speak, spoke those (who were) before them. Their hearts are all alike. We have made clear the Revelations for people who are sure. Wa qaalal-laziina laa ya’-lamuuna law-laa yukallimu-nallaahu ‘aw ta’-tiinaaa ‘Aa-yah. Kazaalika qaalal-laziina min-qablihim – misla qawlihim. Tashaabahat quluubuhum. Qad bayyannal-‘aayaati li-qawminy-yuuqinuun. Al-laziina laa ya’-lamuuna – (those who have no knowledge) it is meant that the persons who are deprived from actual religious knowledge. This verse signifies towards particularly the Infidels/Idolaters. laa yukallimu-na – (does not speak with us) it means that why The God Almighty does not speak with them directly without inter-relation of the Prophets and the Messengers (peace be upon Them). ‘Aa-yah – (sign, a verse of the Holy Qur’an) this word has also come as for the “Miracle” in the Holy Qur’an. Here it also aims ‘the Miracle’. Infidels and idolaters of Makkah claimed the Last Messenger of God Almighty Muhammad (may glory, grace, blessings and peace be upon Him) that if Allah Almighty talks to the Prophets and the Messengers (peace be upon Them) then why He not talks direct to us. Or why He not sends any strange sign (miracle) for support and authentication of the Last Prophet (may glory, grace, blessings and peace be upon Him) so that looking it we admit automatically about the truth of Prophet (may glory, grace, blessings and peace be upon Him). Allah Almighty commands that the people before them also said like these things. Standard of sense, spiritual and moral of those people was very low and of these people is also very low. Since hearts of the both are same in not having prudence and gratefulness. Replying them for these orders Allah Almighty says, “you have demanded just one miracle, I have already sent many clear miracles, for instance truth, trust, honesty and wisdom of the Last Messenger of God Almighty Muhammad (may glory, grace, blessings and peace be upon Him), there is No example of Holy Qur’an from any aspect, your Helplessness in reply to it, Journey of the Last Prophet of God Almighty (may glory, grace, blessings and peace be upon Him) for Ascension and change of the Moon in two pieces. The Originator of the heavens and the earth! And when He decreeth a thing, He saith unto it only: Be! And it is. Badii-‘us-samaawaati wal-‘arz. Wa ‘izaa qazaaa ‘amran- fa- ‘innamaa yaquulu lahuu “KUN” fayakuun. Badii-‘un – (The Originator without matter and without model/sample). This word has made from the word bada’. The word abdaa’a has also come out from it. That is meant to make anything without matter and without looking any sample/model. Badii’ means An Inventor, Artificer, Artist and Artisan Who is really and truly Originator and Inventor, Who does neither need any tool or instrument, nor any material or goods, nor He is Indigent of model and nor any Instructor/teacher. He may originate/invent every thing wishing either it has its body or sample earlier or not. He may create, originate or invent any thing, any time and any where. He is The Creator of the entire universe, earth and skies. False faiths and beliefs of the Idolater and Infidel nations have been rejected in this verse. . They imagined that the matter was already in existence prior to becoming it in any shape. Only the God Almighty originated the universe after forming it in an order. By telling His attribute Badii, Allah Almighty has commanded here that only His essence is ancient eternal and infinite. He has invented all the existence of whose there was no pattern already existing. He has given shape to the disruption of heaven, earth and everything in the universe. For Him it is very easy to create every thing from the very beginning without any pattern and matter. “KUN” fayakuun – (Be! And it is) to create and invent the universe Allah Almighty has no need of any reason, cause, means, ground and support, just His order and sign is enough. This same reality has been explained in this short sentence. It is known from this verse that only Allah is The Ancient. There was a time when only He was Being and nothing else existed. Only He created every thing with His Intention. Neither He has felt need of any partner nor helper. Only He is Who gives new shapes/forms to all things. It is wrong faith of materialists that The God Almighty is indigent of any one or He has need of anyone else. Wa qaalutta -khazallaahu waladan, Subhaanah. Bal-lahuu maa fis-samaawaati wal-‘arz. Kullul-lahuu qaanituun. In the last verse it was discussed that the concept of children of Israel and the Christians is false about likeness of a particular direction by the God Almighty, “so we should turn to that particular direction for turning towards Him”. Allah Almighty refuted it and commanded that He is not bound in any side or boundary of the place of worship. But He is the Master of the entire Universe and there are no limitations for Him, so you can turn your faces and bodies to any side for His worship. He will be attentive towards you. Itta -khaza – (has, have, make, catch, to choose, to elect, to fix upon, to assume, to adopt) translation of all the words is understood as the same. Qaanituun – (subservient, loyal, servant) Singular to this word is Qaanat which means the person who obeys the order, obedient. The word Qanuut is derived from it. 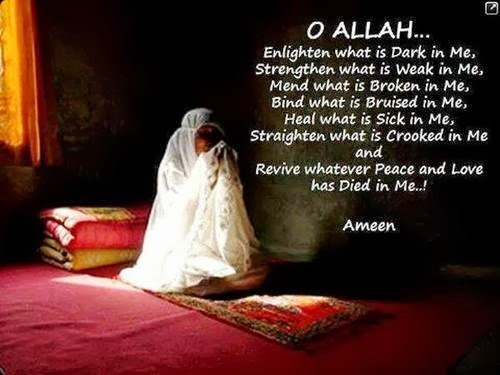 Benediction of the Witr prayer is called the Qanuut prayer because there is complete obeying and obedience of Allah Almighty in it. The Christians had an other false belief that God Almighty has adopted as His son to the Jesus Christ (peace be upon Him) (I seek shelter in Allah from this thought). This faith of theirs’ is the worst kind of plurality in God Almighty. Allah Almighty commands that He is Pure and Sacred from their all these types of false talks of plurality. He has no child. He is One. He is Master of the entire Universe. All that is present in the earth and skies is obedient of His Order. His Emperor is everywhere. His relation with the creature is that the entire universe, demons and the human beings are worshippers and obedient to Him. He is the Worshipped and God of all. All the things in the universe have bent their heads in front of His Order. It is also the human beings’ excellence to bend their heads in front of Him and not to obey anyone else except Him. Muslim nation is Flag -holder of Oneness of God and she preaches the faith that infidelity (i.e. ascribing plurality) to Allah is the greatest sin. We should avoid from it and we should believe on the Unity of God by heart. Unto Allah belong the East and the West, and whithersoever ye turn, there is Allah’s Countenance. Lo! Allah is All-Embracing, All-Knowing. Wa lillaahil-Mashriqu wal-Magrib; Fa-‘aynamaa tu-walluu fa-samma waj-hul-laah. ‘Innallaaha waasi-‘un ‘Aliim. Waj-hu – literally it means Face. Its other meanings are body, person, kind, nature. So it aims that on which side you will turn the God Almighty exists there. Wherever you will go you will find Allah there. The East and the West, the North and the South all belong to Allah Almighty. During the times of Ignorance the people had faith, “Allah Almighty is also in the detention of Time and place, so we would have to turn our bodies towards that particular side”. They used to suppose that direction themselves and after turning their faces to that side they used to do worship. There was also dispute on this matter between the children of Israel and the Christians themselves. Each religious group had fixed a direction and they meditated this direction better. The Holy Qur’an refuted this false belief of theirs and commanded that the Allah Almighty is neither limited in any enclosure of the particular place of worship nor He is imprisoned in any place or direction, but wherever He will be called with purity and sincerity He will be attentive. He does not belong particularly to any particular place, particular city or particular direction. God Almighty neither only likes the East and nor only the West but all the directions are of Him. He has already surrounded the entire Universe. He is unlimited. He is present everywhere. So turning on which place and on which side He will be called with sincerity, He shall be attentive. He knows very well that who calls Him with the true heart and who calls Him only to show the others. One Revelation Grace of this verse is narrated as that because it is difficult for the traveler and the rider to know the direction of the Temple of Makkah, so for that time it has been commanded that turning on which direction you will do worship, that will be accepted because God Almighty is masterly present on each direction and each place. Accordingly this is the matter that if you do not know the correct direction of the Temple of Makkah, you should offer prayer turning to that side to which your heart witnesses. And if you are riding on any conveyance and direction of conveyance changes, you would have to continue and complete your temporary prayer. And who doth greater wrong than he who forbiddeth the approach to the mosques of Allah lest His name should be mentioned therein, and striveth for their ruin? As for such, it was never meant that they should enter them except in fear. Theirs in the world is ignominy and theirs in the Hereafter is an awful doom. Wa man ‘azlamu mim-mam-mana-‘a masaajidallaahi ‘any-yuzkara fiihasmuhuu wa sa-‘aa fii kharaabihaa ‘Ulaaa-‘ika maa kaana lahum ‘any-yad-khuluuhaaa ‘illaa khaaa-‘i’fiin. Lahum fid-dunyaa khiz-yunw-wa lahum fil-‘Aakhirati ‘azaabun ‘aziim. Masaajid – (Mosques) it is plural of Masjid which means the place where prayers are offered, place of worship for Muslims. Masjid is derived from the word Sajdah that means ‘Prostration’, to bow the body and place the forehead on the ground. As per sayings by one of the Scholars it means the Inviolable Place of Worship, the temple of Makkah (Masjid-i-Haraam). The Christians waged a war against the children of Israel, burnt the Holy Book Torah and ruined the Temple and city of Jerusalem. The Infidels of Makkah stopped the Muslims to visit the House of Ka’-ba (the temple of Makkah) during sixth Hijra at the place of Hudaibiah only due to their envy. It had become the limit of religious envious and forming the groups in the religion of the people of the Scripture that respect for places of worship of the other groups had finished from their hearts. They did not hesitate to ruin these sacred places and stopped the people of other groups to enter into their places of worship. Moreover they all claim that they believe on One God. The religious scholars told that as the places of worship populate with the prayers, it will be supposed destruction of the mosques due to bad deeds and talks. Besides this all those things which become cause of deficiency of the devout and ruin of the places of worship, enter in the order of this verse. So we should abstain from those things due to which the gaiety of the mosques lessens and the people stop to come in the mosques. Allah Almighty has commanded that it is compulsory for them while they enter the mosque, tremble their hearts due to fear of God but as they don’t stop their depravities so they will get disgraced ignominy in this world and also will get awful doom in the Day of Resurrection. Wa qaalatil-Yahuudu laysatin-Nasaaraa ‘alaa shay’; wa qaalatin-Nasaaraa laysatil-Yahuudu ‘alaa shay-inw, wa hum yatluunal-Kitaab. Kazaa-lika qaalal-laziina laa ya’-la-muuna misla qawlihim. Fal-laahu Yahkumu baynahum Yawmal-Qiyaamati fii-maa kaanuu fiihi yakhtalifuun. laa ya’-la-muuna – (who know not, illiterate, uneducated, ignorant) here ilm means knowledge of Heavenly Books, and the persons who do not have the knowledge signify towards the Idolaters and followers of each that religion which has no base on any Heavenly Book. Baynahum – (between them) it is meant those two groups out of them one is of the Believers and the other is of the Idolaters and Infidels. All the people of the Scripture are involved in forming religious groups instead of following the teachings and truth bestowed by the Allah Almighty. Each group out of them claims that she is on the straight path and the other all groups have gone astray from the actual way, for instance while the children of Israel saw that the Christians call the Prophet Jesus Christ (peace be upon Him) as son of the God Almighty (I seek refuge in ALLAH), then they began to say them Infidels. And when the Christians saw that the children of Israel have become Disbelievers of the Prophet Jesus Christ (peace be upon Him) they began to say them Infidels, although these both groups recite the Books bestowed by the God Almighty. The same condition is of those people who have not any Heavenly Book but they have made themselves these faiths that they are on the straight path and other all the religious groups have gone astray from the right path. The Idolaters of the Arabia and other Infidels are included in these people. The Holy Qur’an commanded that forming of the religious groups is totally useless. The real thing is to obey the orders of Allah Almighty and to do the good acts. That person will be on the straight path who acts upon these two principles. 111. Wa qaaluu lany-yad-khu-lal-jannata ’illaa man- kaana Huudan ‘aw Nasaaraa. Tilka ‘amaaniyyu-hum Qul haatuu burhaanakum ‘in-kuntum saadiqiin. 112. Balaa man ‘aslama wajha-huu lillaahi wa huwa muhsinun falahuuu ‘ajruhuu ‘inda Rabbih; wa laa khawfun ‘alayhim wa laa hum yahzanuun. Amaaniyyu-hum: (their desires) It is plural of Amniah which means desire. wajha-huu: (his own face) literal meanings of wajhi are face or mouth but often in sentence its meanings are body or person. Here it aims towards these meanings. The worst depravity of all the previous nations and ancient religious people is that they destroyed the truth making separate groups between themselves which in fact was just one and was bestowed to all equally. Now each group falsifies the other and just imagines itself only the heir of truth. Children of Israel were also involved in this depravity and they thought that the truth is held only with them, only they will proceed to the Heaven. 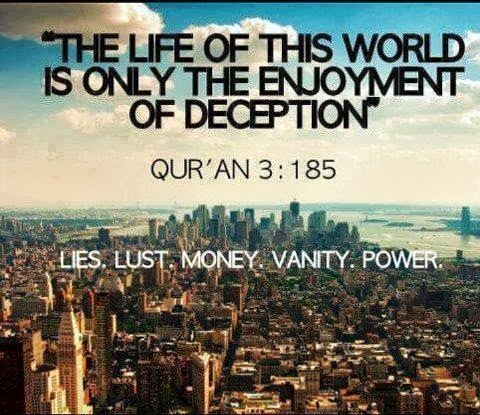 The Holy Qur’an commanded that these are their self made stories and liar desires. They should produce if they have any proof. Now Holy Qur’an has been revealed so that all the groups may be gathered on this common truth. 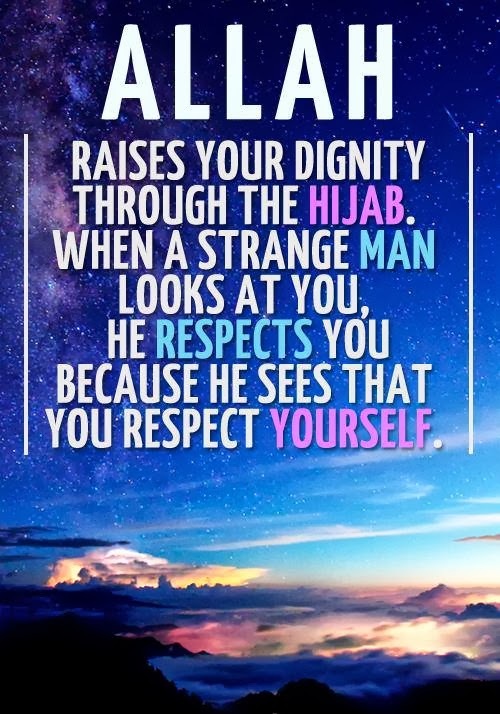 Piety is only in becoming sincere to Allah Almighty and doing good deeds. None of the groups can claim that she is true and other all are liars. God Almighty Commands that the person who will obey the orders of Allah Almighty and will choose the path of goodness, he will succeed. Doing so neither he will have any grief of his previous life, nor any fear of next happening. It is the sign of Saints of God Almighty’s satisfaction (Servants of Allah Almighty). And establish worship, and pay the poor-due. And whatever of good ye send before (you) for your souls, ye will find it with Allah. Lo! Allah is Seer of what ye do. Wa ‘aqiimus-Salaata wa ‘aatuz-Zakaah. Wa maa tuqad-dimuu li-‘anfusikum-min khay-rin- taji-duuhu ‘indallaah. ‘In-nallaaha bimaa ta’-maluuna Basiir. As you have already studied that the main cause of not accepting the Islam by the children of Israel was their envy. They were burning that why the prophet hood has been bestowed to the children of Ishmael snatching from the children of Israel. They were refusing to admit the Just only due to the fire of envy and jealousy. They also wanted to include the Muslims with their disbeliever companions after leaving their religion Islam. So they used to try for growing different types of suspicious thoughts in their hearts. They used to criticize the religion Islam and personality of the Last Prophet Muhammad (glory, grace, peace and blessings be upon Him) . They imagined that if the Muslims will not leave their religion then at the very least them will become suspicious certainly from their religion side. So hence the religion Islam will become weak. Allah Almighty commanded the Muslims to resist the attack and remove the try of the children of Israel that they must not attend to them. Moreover, wait for the proclamation of the last command Jihad (to try and strive) of God Almighty and during this period be frozen on two basic principles. 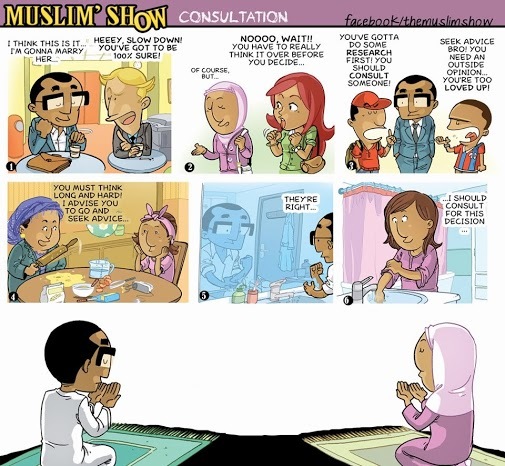 (1) Establish the prayer. (2) Pay the poor-due. These two principles are like two main pillars due to which the power of both (individual as well as the nation) increases and that can not be rebelled from the religion. Besides other unlimited advantages organization of the nation becomes powerful due to establish the prayer. Relationship between the persons themselves becomes profound. And they remain united for each other. The wealth is divided with the poor-due. The poor becomes rich and they can not be changed due to greed and cause of their financial weakness. 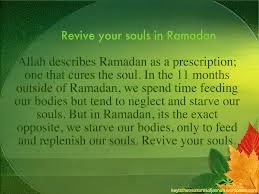 It has also been told that if you will continue this good act then you will get reward from your Lord Almighty because He witnesses your each act. Even a little try of any person does not become fruitless. So to escape ourselves from the conspiracies and attacks of the enemies we should catch with firmness these two principles. Wadda kasiirum-min ‘Ah-lil-Kitaabi law yarudduuna- kum- mim- ba’-di ‘iimaanikum kuf-faaraa. Hasadam-min ‘indi ‘an-fusihim-mim- ba’-di maa tabay-yana lahumul-Haqq. Fa’-fuu was-fahuu hattaa ya’-tiyallaahu bi-‘amrih. ‘Innal-laaha ‘alaa kulli shay-‘in- Qadiir. The behaviour of disbelievers and children of Israel has been discussed in the last lesson that they had been asking questions from their Prophets (peace be upon Them) again and again. At last they chose the way of infidelity leaving the belief due to their false manners. Now the Muslims are being warned that they have long to make you disbelievers after your belief, through envy on their own account, after the truth has become manifest unto them. Cause of this passion into the Infidels and the children of Israel is that they have hearty envy and malice against Islam and Muslims. Envy means to pine/enrage in the heart looking someone’s any goodness, success, excellence, beauty and quality. And wish to rob from him, it should become of mine. He (the envious) not only does the enmity with someone but in fact he criticizes the Religion of Allah Almighty. And without any reason he envies in his heart. None can get something from envy. However morality of him is enraged unavoidable. And his belief becomes deficient. Allah Almighty Commanded, “Forgive and be indulgent (towards them) until Allah gives command”, wait till the time they might not reach at the last stage of enmity, and controversy is not firmed.